Jerry Day's letter to City Council - Use as a sample in your town . . . . NOTE: Watch the YouTube "The Cooking of Humanity" . 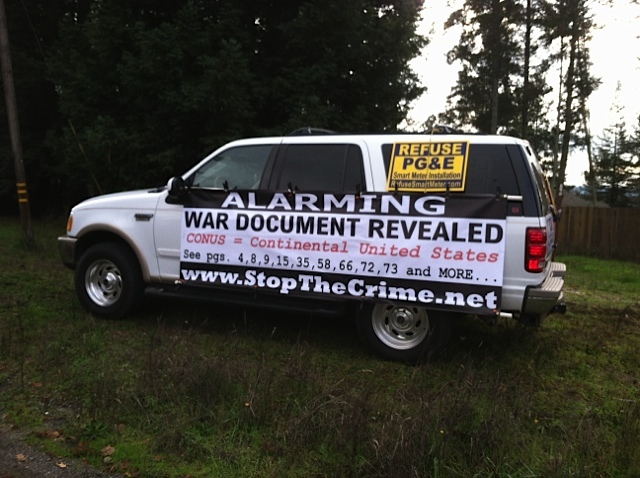 . . and the "Nasa War Plan"
and go to www.StopTheCrime.net home page and read on the source document tab "Silent Weapons for Quiet Wars". Cellphone frequencies have become brain addicting. ADDICTIVE . . Now that we are faced with cellphone addiction we are being warned by the California Department of Health to limit cellphone use. Keep in mind the Departments of Health are behind fluoridation in all communities, required vaccinations, and the department acknowledges climate change as being caused by to many people using to much stuff - of course ignoring global corporate weather control systems that are artificially creating the climate change. It's OUR FAULT . . .
Keep in mind the article below is a coverup to camouflage the health effects from the deployment of WiFi in our homes and WiFi hot spots, antennas, cell towers throughout our neighborhoods, the smart meters attached to all our homes wirelessly transmitting reads to the utility companies along with wireless smart appliances just to list a few of the intentional electromagnetic assaults upon all living things. This article is blaming us for the damage we are inflecting upon ourselves by technologies being used as a silent weapons system of warfare against us. We have many military, scientific and government documents on StopTheCrime.net that tells us the known health consequences and health damage from frequencies . . . The corporate governments and agencies know and are blaming us for the damage they are inflicting . .
Letter to FortisBC CEO, Mark Warren, BC Hydro, etc on Smart Meter Program Being Stopped and Reversed. Email exchange between Calif. Public Utility Commission and PG&E . 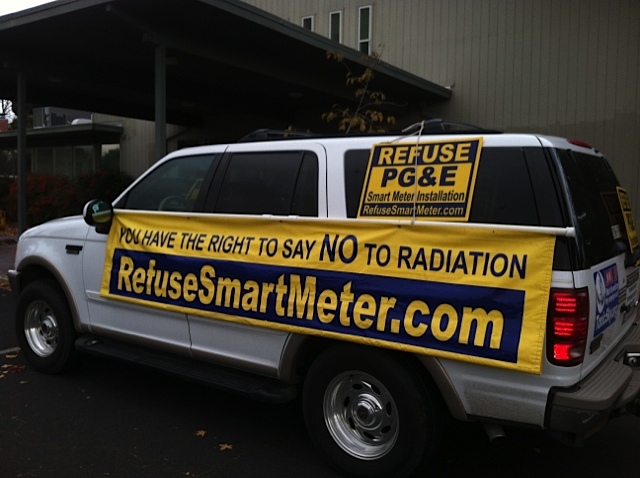 . .
SEBASTOPOL was GROUND ZERO for the opposition against smart meters, originally. . . and where many of the anti-smart meter protestors LIVE . .
Below you can read the comments that have been received, so far, that address that statements contained in the email exchange (above) between the CPUC (Calif. Public Utility Commision) and PG&E (Pacific Gas & Electric) - keep in mind Rothschild controls the CPUC and PG&E . .
a classified job and deep knowledge about all these matters. I have been able to come up with the following. generating power now that we have so many free energy means available. Obviously most energy producers are associated and under the control of the USG and Intel - EARTH, INC. Comment TWO: I agree with your assessment - this e-mail exchange dated 2011 is indeed "very disturbing". I submit it is merely a wisp of the smoke from an recently fired gun - i.e. the visible tip of a very dangerous iceberg. I strongly suggest you immediately file a series of FOIA (Freedom of Information Act) requests targeting both the CPUC and PG&E in order to hopefully get a fuller picture of this complete iceberg and what has transpired concerning this to date. You as a California resident have every right to know what your "public utilities" are doing with their rate dollars! As you know from my "Weather or Not" presentation - beamed RF micro-waves from space are the PATENTED technique for manipulating the earth's jet streams in order to in turn selectively modify weather patterns world-wide. "Climate Change" is genuine - however, I submit it is simply not the result of excessive human carbon emissions "footprints" as infamously claimed. The potential to generate electricity from beamed RF waves is certainly a possibility with the existing technology - but I submit it is not the primary goal. I submit the necessary outer-space RF generators are already in place and have been functional for at least a decade and a half. This is a very interesting trail of damning bread crumbs that needs to be followed up on in my opinion. WHO Participated in Deployment of the Smart Meters Rollout? a PARTIAL HISTORY . . .
Addthis .. The Department of Energy awarded a cooperative agreement on January 16, 2009, to the Arizona State University (ASU) Board of Regents to operate the Power Systems Engineering Research Center (PSERC). PSERC is a collaboration of 13 universities with 35 electricity industry member organizations including utilities, transmission companies, vendors and research organizations. The Center conducts cutting edge research related to all aspects of the electric power industry and takes pride in training and producing high quality students to support the nation’s energy work force. Since it was formed in 1996, PSERC researchers have completed almost 80 research projects that were planned and executed in collaboration with one or more industry members. The funds support multi-disciplinary research at ASU and at other participating PSERC universities working under subcontracts with ASU. The cooperative agreement is for five years at a total value of $18,750,000, with the Department providing $15 million and the universities providing $3,750,000 (a 20 percent cost share). The value of PSERC research is leveraged by its association with its industry members, and its affiliation with the non-profit Consortium for Electric Reliability Technology Solutions, comprised of four national laboratories (Lawrence Berkeley, Oak Ridge, Pacific Northwest, and Sandia), an industry partner (the Electric Power Group), and PSERC. This university, laboratory, private sector combination enables a seamless collaboration to move electric power technologies through the research, development, and demonstration phases and to commercialize new methods, tools and technologies to protect and enhance the reliability of the U.S. electric power system. PSERC serves to educate both the next generation of electric power professors and electrical engineers for the power industry. PSERC facilitates efficient employment searches through industry-student interactions at industry meetings, student involvement in PSERC projects, web site postings, and email announcements. PSERC has also created a national power engineering job search web site in cooperation with the IEEE Power and Energy Society. NOTE: SMUD, the utility company in Sacramento, California, CEO - John Distasio said on a public video that “we installed the meters but the really important thing is all of the “apps” that would be used in them”. Mossad and Israeli communication companies and DoD contractors. OUR COMMENT:A truly disgusting development, rolled out as a big trial balloon to see if the people accept the Smart Card without mass rioting, and the people will probably accept the Smart Card . .
of Mexico there can never be any decency in their government, just like here in America - USA, Inc. This will hasten the genocide program . . . Poor people will simply NOT be able to prepay for utilities . . . FORCING the Smart Cards on EVERYONE is a move away from currency . . . and not only will they need to drastically reduce the use of energy - the utility companies will remotely shut utilities off - at will - and attribute the shut downs to power grid over loads and lack of prepaid funds on the NEW Smart Cards. Watch this development closely - since beyond the deployments of the Smart Grid worldwide we will get a Smart Card . . . Again, this is the incremental SWITCH from currency to the PREPAID credit/debit cards - YES, the monetary system is transitioning from currency to an energy based system of exchange as foretold in TECHNOCRACY. . So, now beyond structuring our thought patterns of the populations through the smart meters, all disguised as promoting new energy efficiency and lowering greenhouse gas emissions, when actually the meters are a trojan horse set up for deep spying and behavior modification programs . . . We are being hooked up through the Smart Grid and the RFID chipped smart appliances to fusion centers, facial recognition software, HD cameras, attached to pulsed beam microwave emitters to "entrain moods", block thoughts, and to our share data with NSA and DHS, and MORE - BUT now we are likely to ALL get Smart Cards . . . This corporate construct is controlling ALL government agencies and even managing pulsed beam microwave emitting streetlights operating full strength during rush hour and serving as listening posts other times. . This is the silent weapons system using finger-printless methods to subdue the population without the people even knowing they are being manipulated and attached by a weapons system. .
As we receive more information out of Mexico we will send out updates. They are doing it! Here in Mexico, they are beta testing the new SMART Meters with a new caveat. Without the people's consent, they are imposing or forcing on at least three states of Mexico, Veracruz, Guanajuato and Puebla, prepaid power via an 'intelligent' PREPAID POWER CARD. Can you believe this? IUSA and the CFE teamed up to impose this bizarre new system on the populace. Here is the PDF link to the original manual or user guide that the CFE is distributing. remote dictated "induced appliance breakage", and intel spying (minute by minute). There are now many people disclosing information on advanced psychotronics that have been deployed. There are substantial amounts of documentation coming out about sci-tech, e-system, and the Fort Worth USAF "double-dippers". The corporate power brokers aka bankers and mega corporations track whistle blower communications and suppress them through various means. For example (as the NASA War Plan) discloses people will be assaulted with high powered lasers, beamed weapons anytime anywhere. These are silent weapons for a quiet war now being waged on the global population . . .
have been told even exist . . . Some important individuals have been hit with psychotronics. Most important - we have learned the biggest problems were (in order of importance), remote phones from China which can be amped up, WI-Fi set at higher levels, smart meters, wireless printers even when off and cell phones left on closer than ten feet. People are reporting in increasing numbers that remote targeting with pulsed beam microwaves directed from cell phone towers which are triangulated or directly aimed from a "new neighbors" home are also used for electronic harassment and torture that cause illness and death all by remote control . . Despite what many might think there are numerous mid-level good guys in the various intel agencies who are leaking everything. Secrecy is now in the process of forever being eliminated as the whole system is breaking down from within. It is MOST important to read the "Silent Weapons Quiet Wars" a technical manual (www.StopTheCrime.net) that describes the intentions of the international bankers . . the manual explains how the plan of global manipulation, enslavement and genocide has been implemented . . . and how we are all being assaulted without realizing we are being subdued by a weapon . . .Now you know. THEY have told you what's coming! Desert Rose and the Story of Stray Currents - Stray Currents . . . Dirty Electricity that KILLS . . . 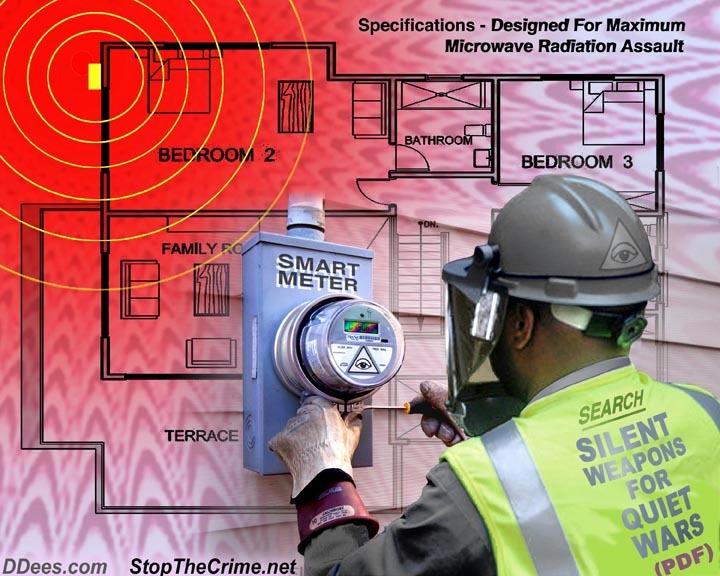 MURDER WEAPONS - SMART METER DEPLOYMENT - San Antonio, TX to get smart meters in August 2014 . . . the silent weapons warfare system ENGAGED . 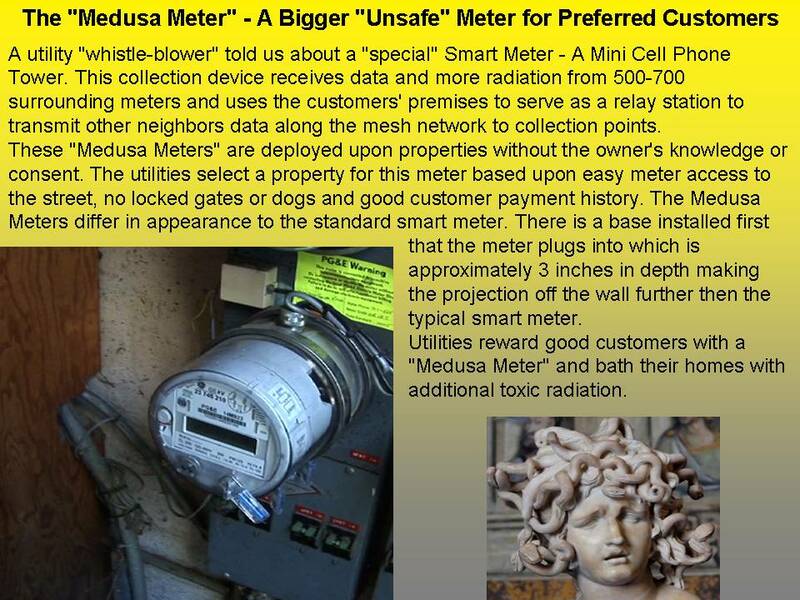 . .
Smart Meters are Bio-electromagnetic weapons that will randomly cause disease and death - the meters are a fingerprint-less murder weapons for plausible deniability. Smart Meters and other wireless communication devices combined with Chemtrails the Gwen and cell towers and HAARP as well as the satellites, that were introduced into space under the code name Star-Wars, will cause DNA cell disruption and breakage in all living creatures on EARTH . . . 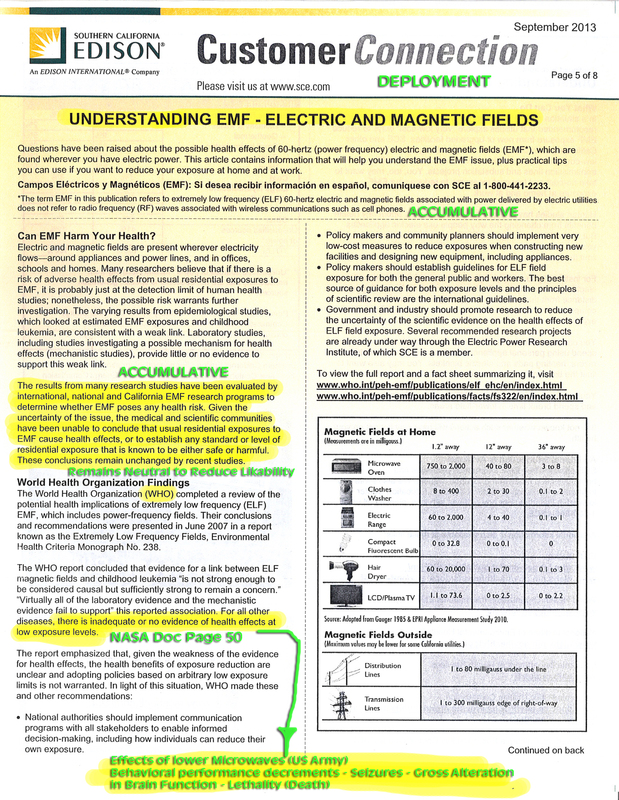 This is part of a letter from Dr. Baan, a member of the 2011 IARC committee that classified electromagnetic radiation as Class 2b (possibly carcinogenic to humans), to a person who was requesting a clarification as to whether smart meters were also included in IARC's classification of rf radiation. I hope it is useful. Within this spectrum, the electromagnetic fields around (or the radiation emitted by) mobile telephones represent the most intense and most wide-spread exposure situation, for which a small increase in risk for glioma and acoustic neuroma has been found in the group of 'heavy users'.... many other devices emit the same type of RF radiation, e.g., base-station antennas, radio/tv antennas, WiFi stations, smart meters, etc. Therefore, all these fall under the same broad evaluation of “Radiofrequency Electromagnetic Fields”. This is what the Working Group discussed and decided last year. Of course, because the exposure levels for many of these other devices and exposure situations are so much lower than the exposure to someone who has a functioning cell phone against her/his ear, the risk will be considerably less (although the hazard still exists). SMART METERS - Gas utility rolling out advanced meter system . . . this is interesting since the Climate Action Plans requiring our reduction of greenhouse emissions is eliminating gas appliances and equipment . . and requiring retrofitting (replacement) of all inefficient appliances and equipment with Energy Star-rated ELECTRIC ONLY. Learn more about the Climate Action Plans top of home page on www.StopTheCrime.net We do know that by collecting meter reads remotely now the gas meter readers will be jobless. . . and it goes without saying that the accumulative effects of the gas metering system with the pulsed EMF and Microwave radiation frequencies will damage all living things . . This is a military deployment of smart meters . . . Smart meters are required to centralize and control all energy resources . . . The resistance against smart meters WILL be met with increasing brutality by police that are escorting utility employees to force the bio-hazards on our homes . . This is a global assault . . The Smart Grid was schemed in the 1930's and called Technocracy . . it was determined that in order to bring in a totalitarian control system that monitoring and measuring the distribution and rationing of energy resources was required to take total control of society. . The system must register on a continuous 24-hour-per-day basis the total net conversion of energy, provide a continuous inventory of all production and consumption. Provide a specific registration of the type, kind, etc, of all goods and services, where produced and where used. Provide specific registration of the consumption of each individual, plus a record and description of the individual . . It is important to understand Technocracy created CO2, Climate Change/Global Warming, and it was not the reason for the development of technocracy. In fact, the false claim of CO2 has become the excuse for the "global" implementation of this totalitarian takedown of society . . .KIWIS BEATEN BY COPS FOR RESISTING SMART METER - we do not recommend that people sign petitions as suggested in this video . . Petitions serve as data collection for the NSA, DHS, Fusion Centers and all the illegal corrupt corporate agencies that are not serving the people . . . We MUST NOT CONSENT to a smart meter and recognize the stated goals are not the real goals of the deployment of these hazardous meters . . .What you will witness is the fact that in Australia, like the United States, and other countries the people have been identified as the enemy . . . Presentative governments have been hi-jacked globally and we are all in EARTH, Inc. where multinational and international corporations and banks are posing as legitimate governments and they are not . . . We recommend you read "Silent Weapons Quiet Wars" which is a Declaration of WAR using a silent weapons system where people will not realize they are being attacked and subdued by a weapon ...Your Silence is Your Consent . . .DO NOT CONSENT . . .
PDF providing articles, reports, presentations, regulatory decision, and web links to address advanced and smart meter issues. Separate tabs address, meter specific studies, accuracy issues, opt-in versus opt-out decisions, privacy, cyber security, anti-smart meter web sites, sample testimony from Michigan Case 17000, health studies, and technical health and medical research references. CONFIDENTIAL - Corporate Plots Disclosed Against the People . . . The Real Goals and Stated Goals Unmasked . After you read this article read or watch the "Iron Mountain Report" . . You see exactly how the international bankers INVENTED climate change with NASA and created pollution to call it Global Warming . . .
A BIG Distraction . . . German study - meters are not ALL they are touted to be in savings benefits! WHAT? 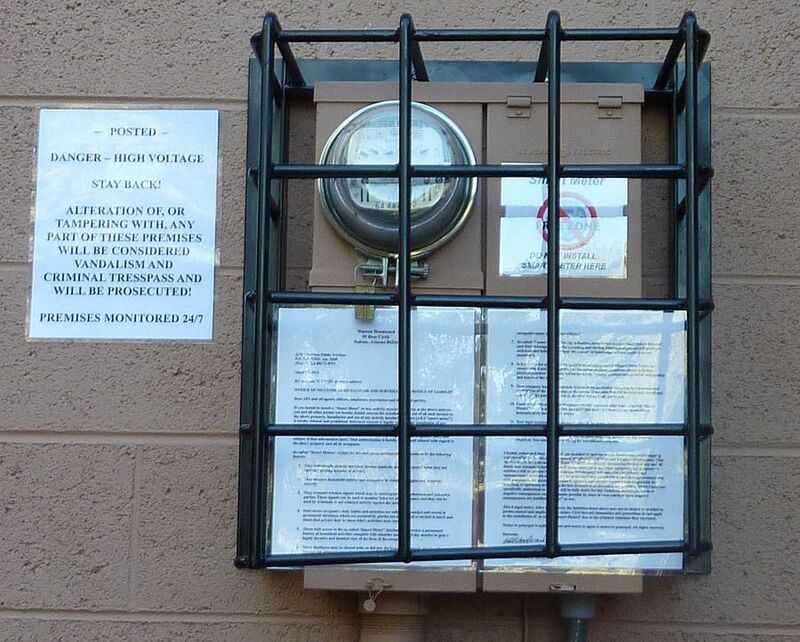 Meters will be installed ONLY when an existing meter is needed to be replaced anyway . . . MEANING - meters "will" be deployed according to the dictates of the international bankers plan to control all energy. . . The bankers tell us exactly that in the silent weapons document . . . I wrote an article last week documenting the plan . . The Grid is a global game changer. . We are all facing surveillance, radiation and requirements to reduce our GHG - Green House Gas Emissions, and this is a Global Green Agenda.. I included in the article, last week, an example of "required" lowering of GHG in Sonoma County, in Northern California which will be 25% below 1990 levels by 2015. . . All existing residents will be "encouraged" to retrofit properties with Energy Star ELECTRIC appliances, NO GAS APPLIANCES or GAS EQUIPMENT. . The Climate Action Plans aka Energy Action Plans will require annual inspections to confirm the cities housing and commercial properties meet required target levels. Fines and penalties will be in the form of business license fees, and code violations, etc. Some of the Energy Action Plans estimate a per household cost to retrofit will be $2,000 to $5,000 per household. There will be a variety of loan opportunities and mortgages that will allow for financing these costs for appliance replacements and other GHG reducing retrofits. Obviously, rents will skyrocket and many properties will fall under the scrutiny of bureaucratic rules and regulations as many property owners will be unable to meet the demands placed upon them due to the deteriorating economy. . Sadly, the INVENTED false science agenda foretold in the "Iron Mountain Report" along with dismantling of the Constitution and the lawless rule of law we all now find ourselves in is an unrepairable reality. These schemes were implemnted many years ago and have been swallowed by an uninformed public. Had the source documents been revealed when they were first made available we all may have had the opportunity to change the direction and prevent further enslavement and genocide. . Very few people understood our fate and now we are all headed into the NWO. . total surveillance, monitoring, media propaganda and massive TERROR are the pillars of the new realty our children will grow up into. We failed and did not pay attention and did not believe the facts because they seemed to outrageous. . our reality is outrageous and our futures are being manipulated by the silent weapons system of slavery and genocide. . The article I wrote last week entitled Breaking - Smart Meter Opt Out was Only an Appeasement Plan. .and Gas as an energy resource is being eliminated because gas is not renewable . . . The source documents told us we were stupid and did not ask the right questions and therefore we belonged on the table to be consumed by those wealthy, powerful and worthy few. You will find this in the "Silent Weapons Quiet Wars" the policy is a Declaration of War upon the civilian population. . . It's the other side of intimidation -- bribery.The bankers creation of a ploy "save now" and pay later. If ONLY the people would understand the games being played are written in the bankers documents. . . again I recommend "everyone" read the "Silent Weapons Quiet Wars" policy written by the international bankers about enslavement and genocide . . This article below suggests you cook your weeks worth of food on the FREE energy Saturday. . keep in mind you likely will not feel well enough to eat since you will be exposed to pulsed microwave frequencies all the time from your energy efficient smart meter. 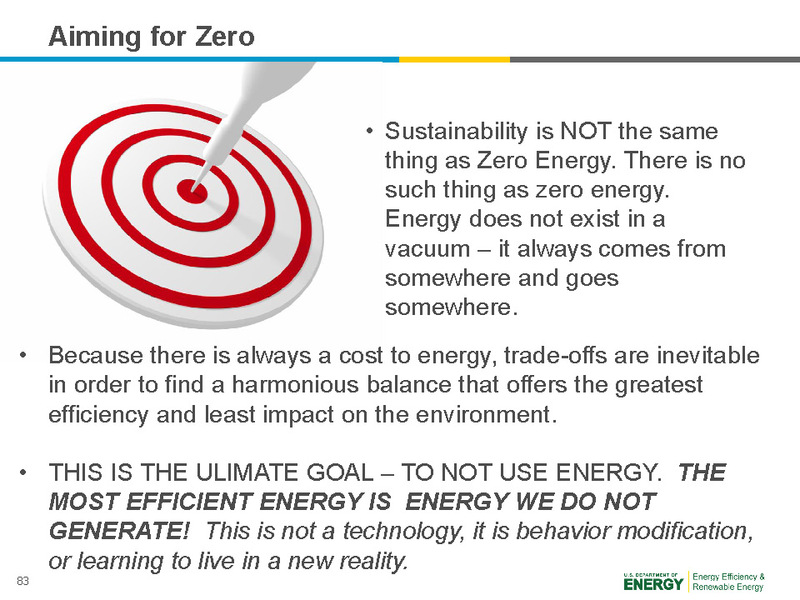 Now there is another way to look at this "energy efficiency" you bet - just think of all the opportunities you have to reduce GHG. Here's a math problem . . . GHG reduction = energy efficiency (-) not feeling well (-) eating less (+) Free electricity on Saturdays (-) shorter life span = the final results of GHG reduction = global depopulation . . . The final answer the bankers WIN . .
---All federal agencies and private companies that deal with the U.S. government must identify their vulnerabilities to the impacts of global warming and develop a climate change adaptation plan, as per an executive order quietly signed by President Obama. The order was actually penned in the fall of 2009 but the president’s Climate Change Adaptation Task Force had to properly investigate the matter and come up with recommendations. Now that the task force has developed a detailed plan on climate proofing the government, yet another Obama advisory committee, the Council on Environmental Quality, has issued instructions on implementation. Under the plan, every government agency must integrate climate change adaptation into their planning, operations, policies and programs. That means they must appoint a “climate change adaptation specialist,” participate in climate adaptation workshops and educate every employee throughout the year. All agencies must identify and analyze “climate vulnerabilities” by spring of 2012 and execute an adaptation plan by the fall of 2012. The training will also be required at all private businesses that contract with the government, including those that provide any sort of maintenance or logistics. In all, tens of thousands of public employees will be required to participate in Obama’s “green” plan, which will also require federal agencies to create greenhouse gas emissions reduction plans, increase energy efficiency, conserve water, reduce waste and support sustainable communities. No word on what all this will costs [sic] U.S. taxpayers. 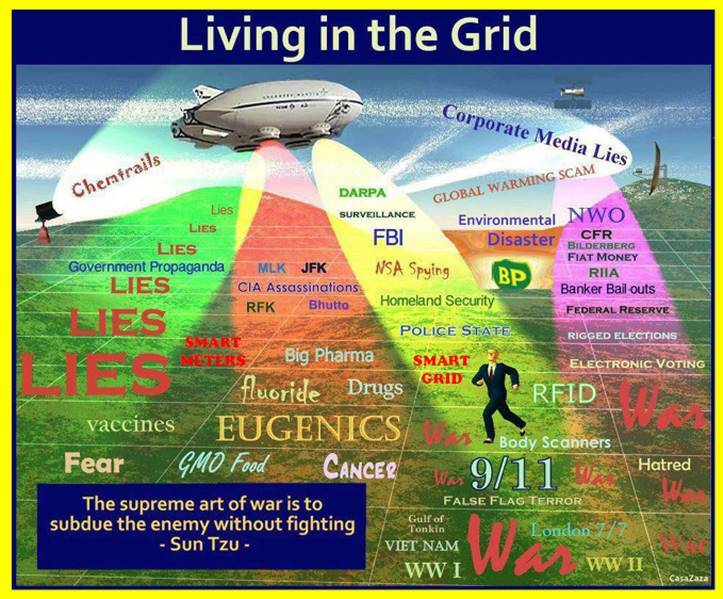 Keep in mind the "Global Grid" is for Full Spectrum Energy Dominance by the Elites . . . and is also a silent weapons system as described in the "Silent Weapons Quiet Wars" a policy of slavery and genocide - in this document they say a silent weapons system is not realized by the victims and covertly attacks our vitality, etc. .
Smart Meters - Worse than Communism - Memphis councilman calls 'smart meters' new form of communism . . .
Customers fall for the energy savings scheme of the SmartAC and "allow" PG&E to install the switch on the A/C units . . this is above and beyond the smart meters. . The same tactic is happening in the SCE service area, as likely nationwide. We were told by an A/C repair service that this remote switch on the A/C equipment could void the warranty. . .Sadly, until people half to "really" pay and suffer they will not learn. In Southern California on the Edison bill customers are provided with an address for their official "cooling center" in their area where they can go and sit out the heat . . .Everyone needs to understand the "deployment" is a military silent weapons system being covertly and deceptively waged by the bankers for total control and full spectrum energy dominance. Our tenants allowed A/C green boxes placed on our roof top A/C units without our knowledge or consent last year, 2012. Not only were our lease agreements violated Edison bypassed the property owners (us) and without permission accessed the roofs when strict permission is required. This lawless knows no limitations and it is up to each of us not to consent. .
FULL Deployment! SAP launches Utility of Tomorrow contest . . .Major universities have proven to be selection factories that stealthily harvest our brightest to extract and steal their intellectual property . . They have brainwashed our kids and use them to achieve their goals. Most major universities are funded by the military and the World Banking cartel . . .A full blown corporate and scientific tyranny has occurred . . surveillance, toxic poisons, radiating the population with frequencies and poisoning our food, water and the air we breathe for total life management and the elimination agenda - which is are our reality . .
Utility Companies Know - and "PG&E Knows 'smart meters' Catch Fire" - Meter Reader Tells ALL . . . Sufferers of "Microwave Radiation Poisoning" from Power Lines, Cell-towers and Wireless Smart Meters Seek Refuge . . .
A report just released by the Washington, DC-based National Institute for Science, Law & Public Policy is showing that the smart meters and grid: “Dr. Schoechle, who has been engaged in development of electric utility meters, home automation systems, gateways, and energy management systems for over 25 years, and who sits on several international standards setting committees related to the smart grid, calls the smart meter being rolled out across the U.S. “a canard—a story or hoax based on specious claims about energy benefits…” . Full report can be read here. Toxic Radiation: Under your nose: Did you know? Important YouTubes . . .
Smart Grid Strategies – Changing the Paradigms to Maximize Benefits . . .The IEEE documents stated that utility employees would be replaced by fewer and younger more hi-tech employees and new college graduates. From Ireland - The bad guys are busted! Distribute widely . . Scientists call on US Senate to issue advice on mobile phones . . .
From Italy An appeal by the experts : "Turn off the radar" . . .
NOW -Utility Company "Mandatory" Home Inspections and Challenging Agenda 21/Future Earth - Home Inspections . . .
AT&T wields enormous power in Sacramento . . . and other states, too . Understand the "deployment" of the Grid is a military operation. The global elite want Full Spectrum Energy Dominance . .
France - Bans Wi-Fi from Schools . .
Ojai Places Moratorium On Smart Meters . . . in California . . . Urgent warnings on wireless and EMF public health risks . . . DECLARATION - "No" Safe Exposure Levels from Microwave Radiation - Declaration of Barrie Trower . . . 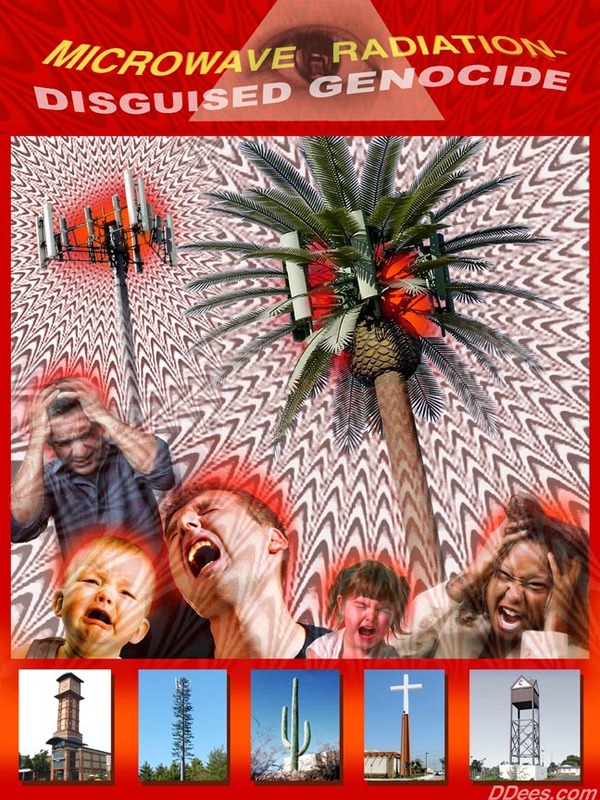 Cell Towers - Update on Santa Fe Towers - Ideas on How to Refuse Them . . . Frequency Attack Advances - America's National Parks Weigh Solitude Against Cellular Access . . . Creating a Wireless Fence to Deny Human Access . .
Frying the Homeless - Using Homeless people as WiFi Hotspots draws mega-criticism! TYRANNY . . .Refuse A Smart Meter - They WILL turn your POWER OFF in the Dead of Winter . . . . Cell Tower RF Studies - Science Abstracts . . . Cell Towers - Frequency Attacks. . .Mast-victims.org article about WHO leader and cell-phone sensitivity . . .
Talk about more ways a cell phone can injure you!! AMERICA! Frequency Attack - 1970s: Medford’s Suicide Spike and ULF’s | Oregon L.O.W.F.I - Today an orchestrated attack . . .
Smart Meters - WHY: Naperville, Ill. subverted the Constitution . . . .WHY Naperville BROKE it's own city ordinances!